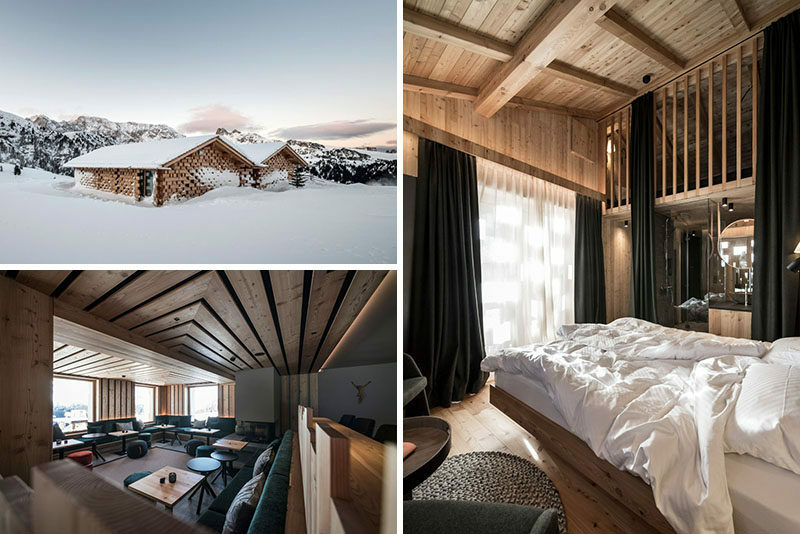 noa* (network of architecture) have completed the conversion and extension of Zallinger Refuge, a hotel located within the Alpe di Siusi area of Italy. 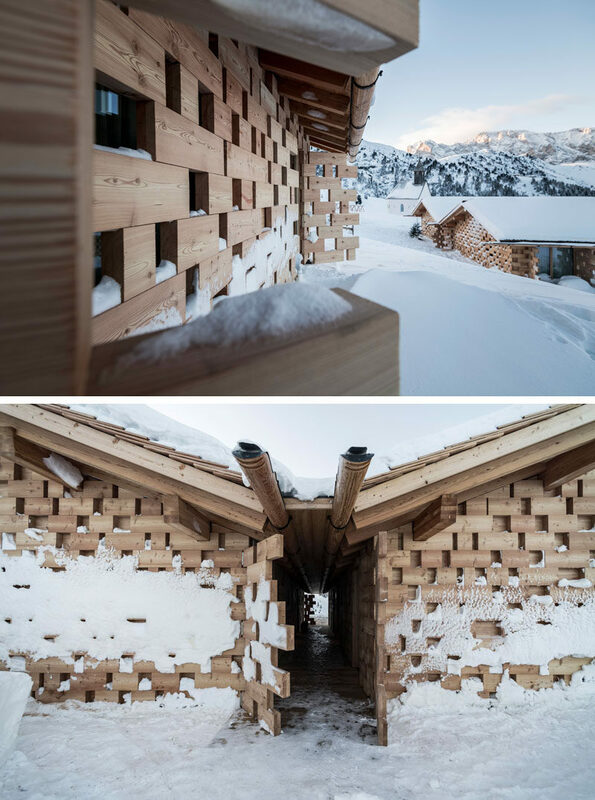 The Zallinger Hut was first built in the middle of the 19th century, and noa* were asked to improve the quality and accommodation capacity without altering the landscape and the surrounding environment. 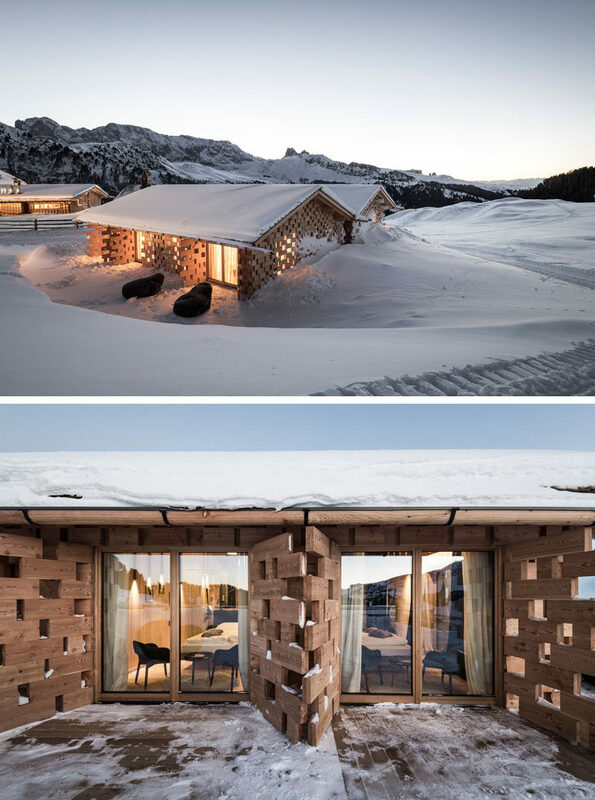 The architects added 24 rooms in the new mini-chalets and left the original 13 rooms that are located within the central building. 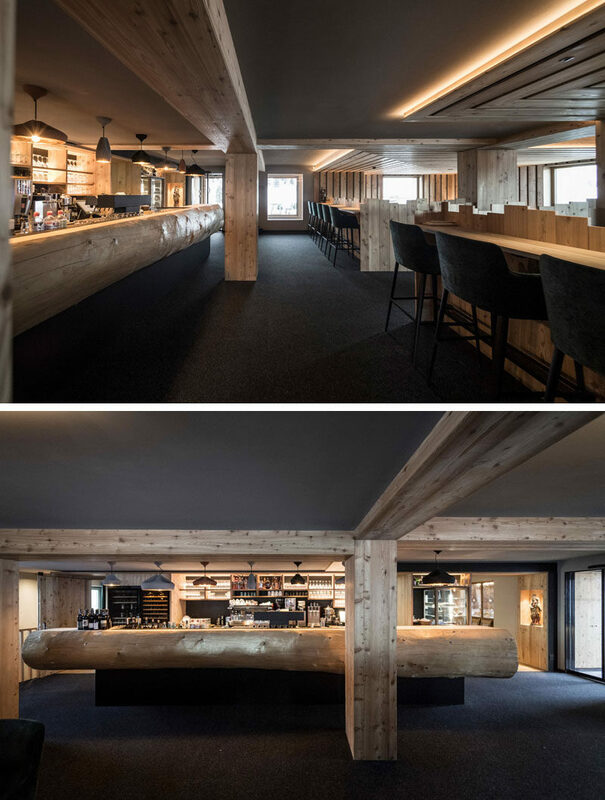 What was once the historic lodge, has now been transformed into a relaxing bar, restaurant and lounge. In the bar, there’s a huge fir tree-trunk that has been repurposed into the counter. The lounge has large windows that frame the view outside, custom built-in seating the wraps around the space, and a fireplace. 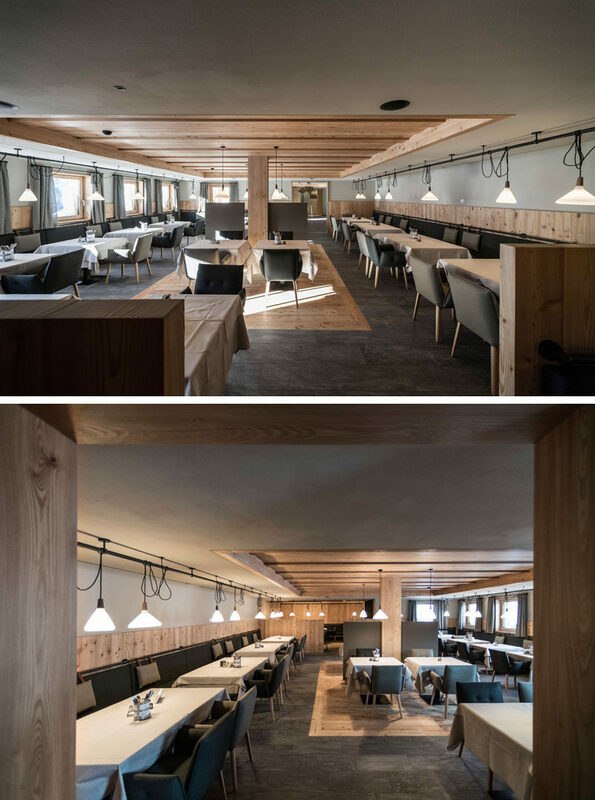 In the restaurant, banquette seating lines the walls, while simple lighting highlights each table. 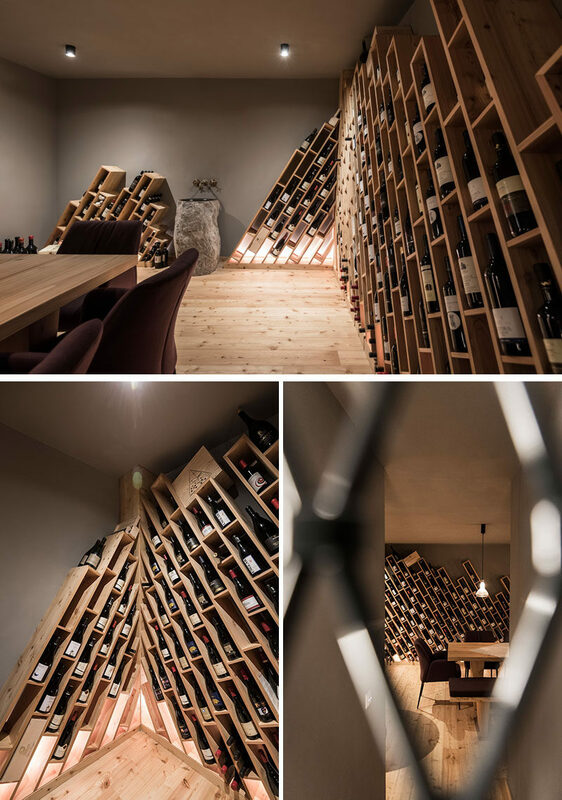 The design of the hotel’s wine cellar is inspired by the mountains, and has wood shelving installed on an angle, with compartments for individual bottles of wine. 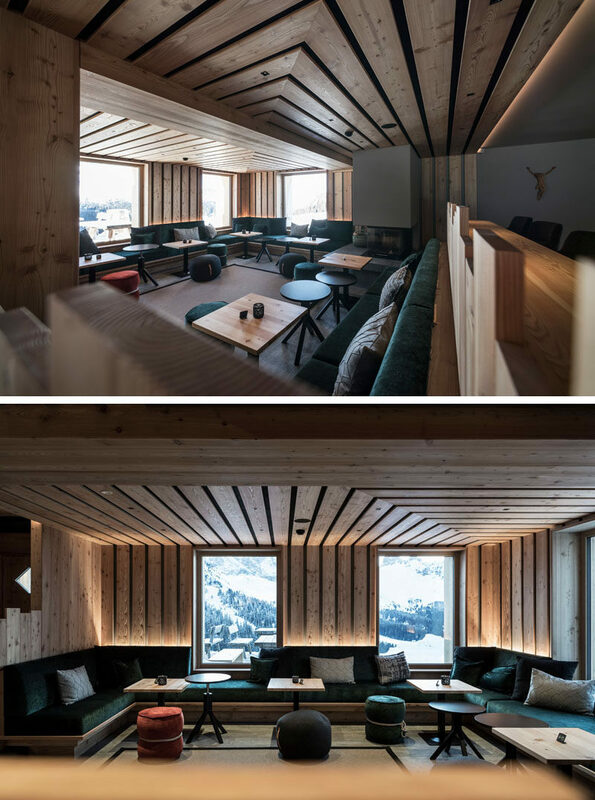 The wellness area of the hotel has a sauna with a large picture window and an angled window, that both allow natural light unless there’s snow that’s built up. 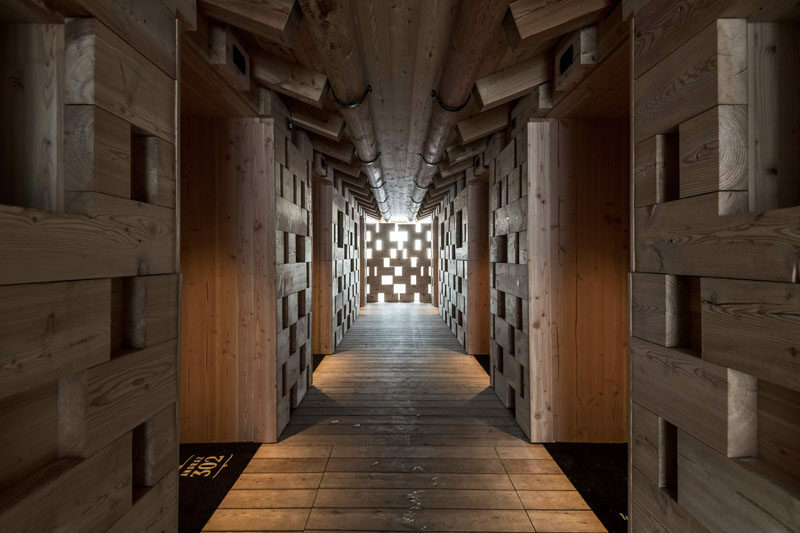 A wooden hallway, that show off the woodwork used in building the huts, leads to the hotel rooms. 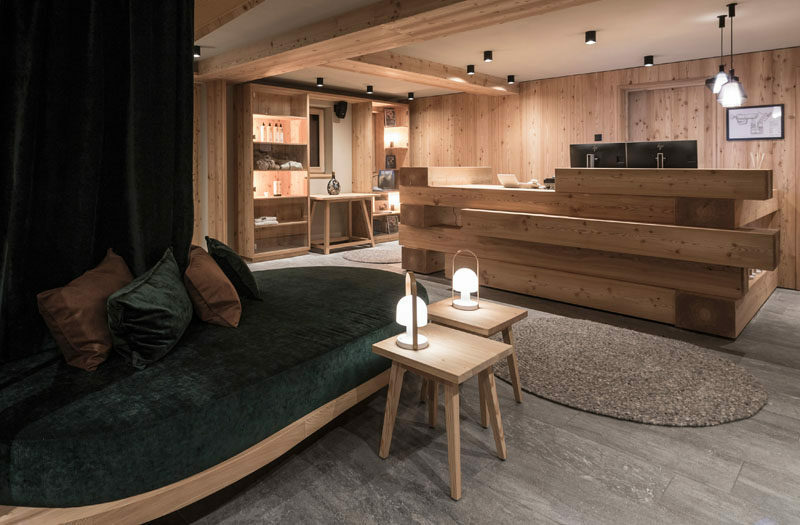 The hotel room interiors are lined with wood, created a modern yet cozy atmosphere, and some of the rooms, like this one, has stairs that lead up to a small loft where children can sleep, or it can be used as a relaxing nook.